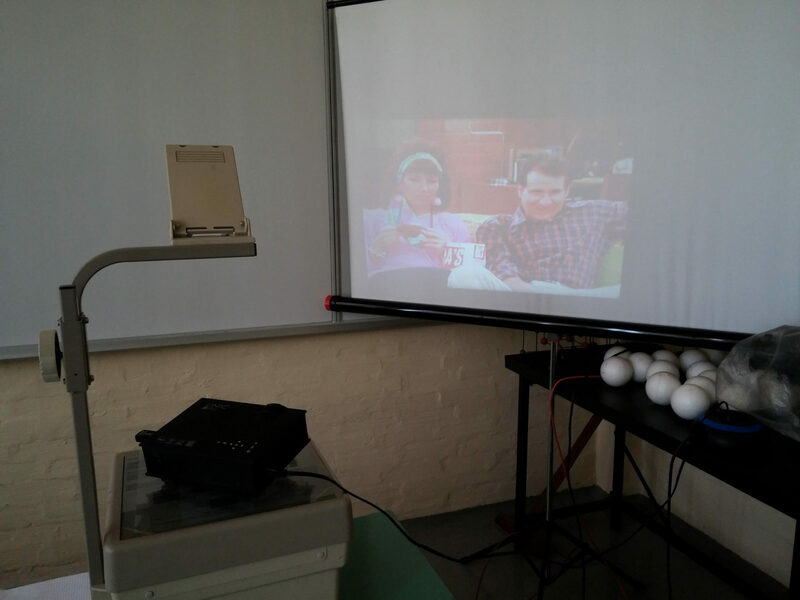 These days budget projectors still scares some people because the first thing they think is how this product is low-quality, lacking in power etc. 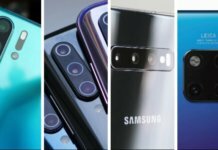 But today the situation is completely different and they don’t need to fear because Chinese companies are improving from day to day and at same time the price is just going down. 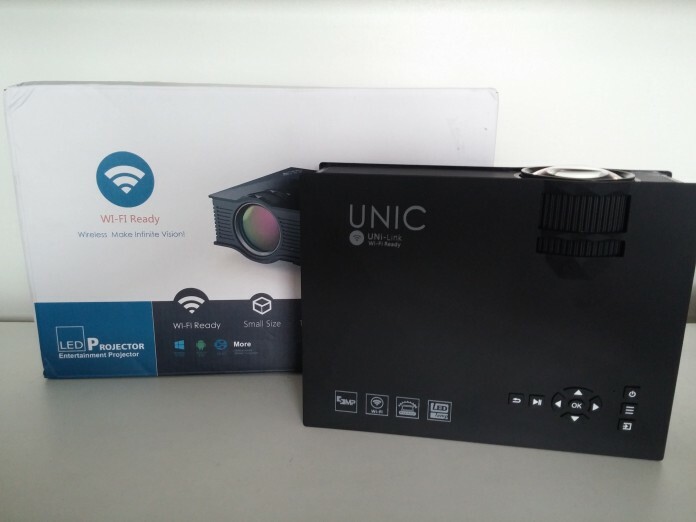 So one of this Wifi projectors is definitely Unic UC46 which price is now around $80. I must say that I’m impressed with packaging because everything is packed well as it should to be. 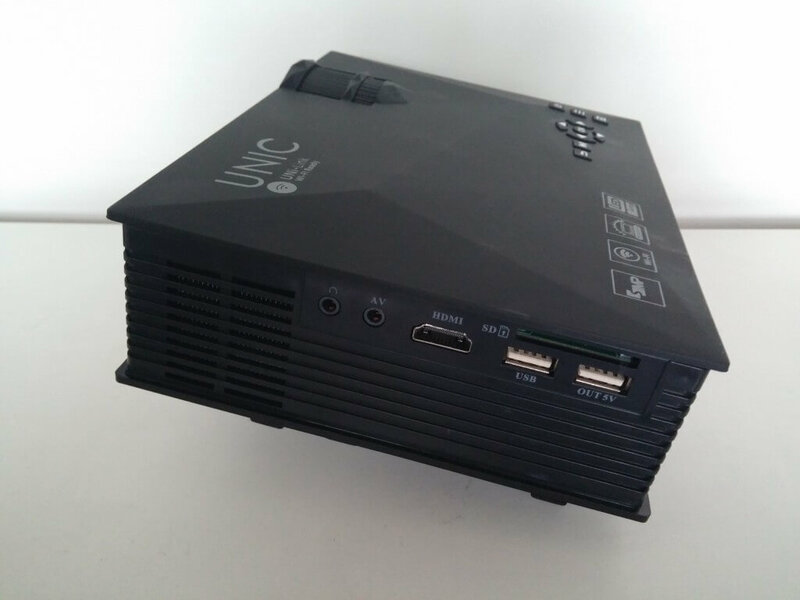 Except Unic UC46 LED projector you will also receive next items, remote control, audio video cable, power cable and user manual. Comparing with our older projector it is much smaller making it compact and easy to transfer to other room with weight only 1.105 kg. 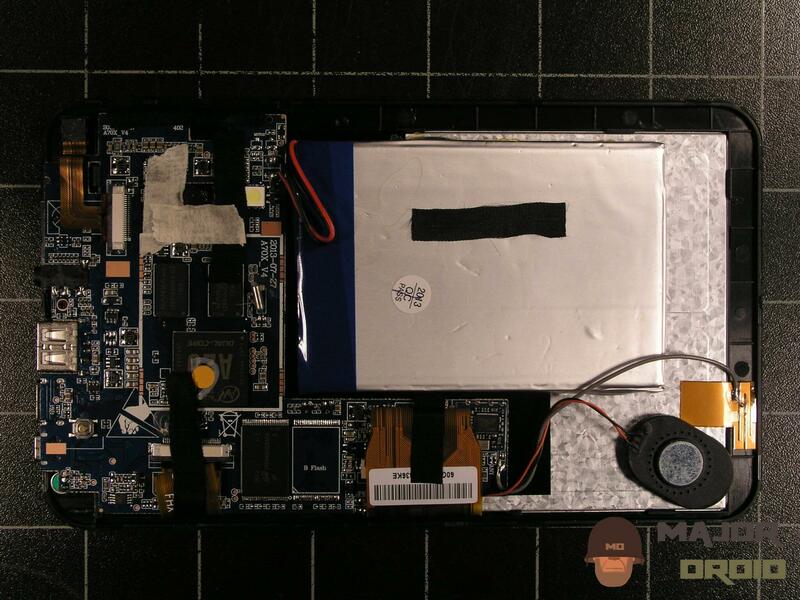 The case is completely made of high quality plastic with premium look similar to other four figure high end projects. The UC46 case is completely in black with graphite finish which looks awesome. On the left side are located all available ports which are: USB x2, HDMI, AV out, Mic Out and SD Card slot. On the top side of the projector they are located buttons for using instead of remote control. 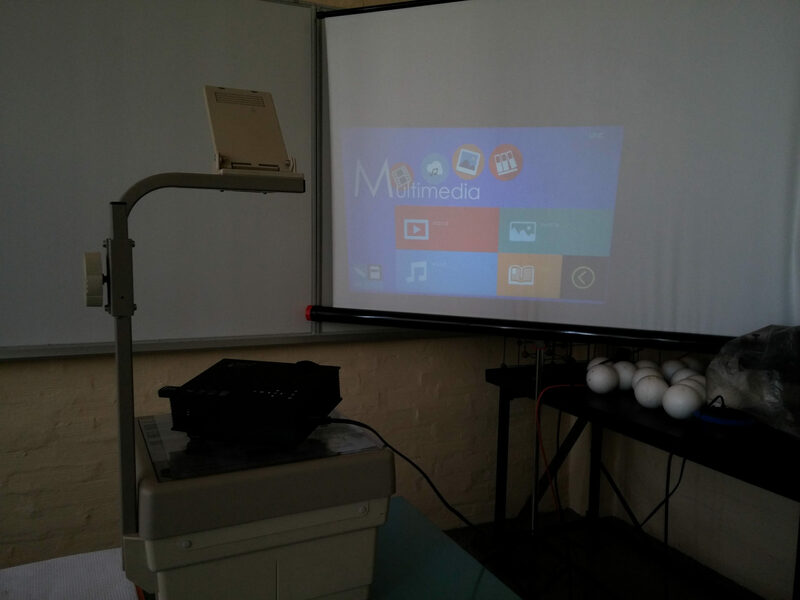 Actually it is quite easy to use this projector because the user interface is very simple. User interface is separated in several categories like sound, picture or other functions. So you can easily customize settings according to your needs. 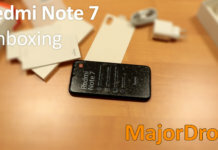 But for most people it is already customized, so in reality you practically don’t need to do nothing about settings. Thanks to USB ports you can easily watch movies from USB flash drive including MKV video file, 1080p H.264 and other with suppor of subtitles. From other functions you can normally use projector for educational purpose in classroom to view presentations, documents or pictures. From other information Unic UC46 has also Wi-Fi which can be used for connectivity with your smartphone, in other words after you have made connection with your smartphone then then you can view the content from your phone like movies, YouTube or other. 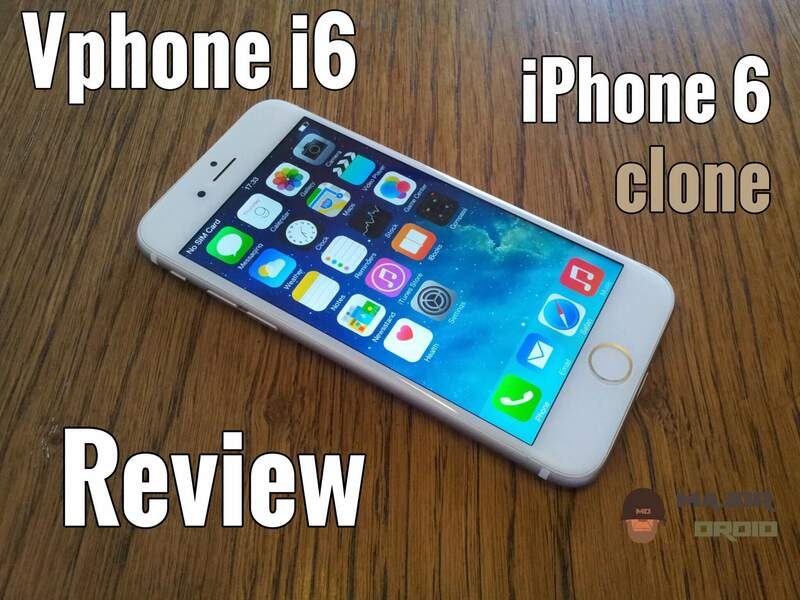 It is actually really cool function and for this you don’t need to use any cables except power cable of course. 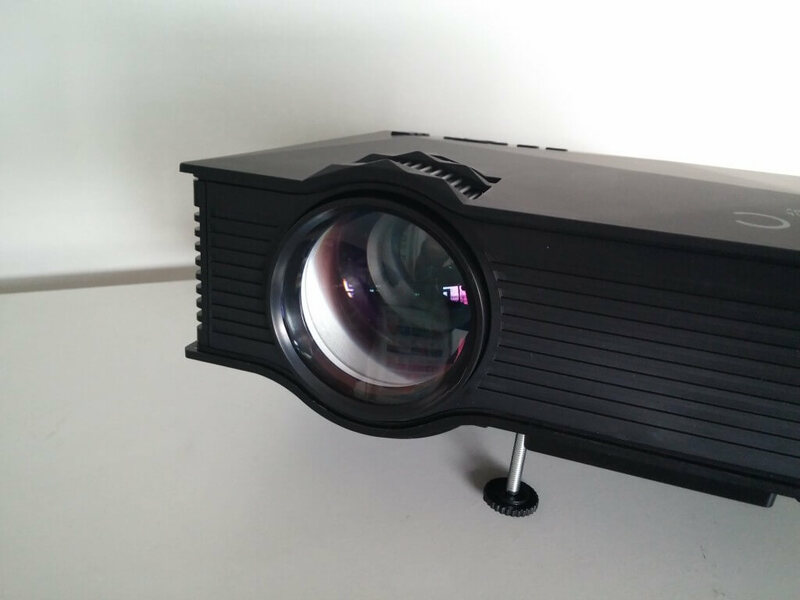 The picture quality is good for this price range and much more but to get maximum results, the projector should be placed in the room with minimum outside lighting. Otherwise picture will be sadly pale like in our case. Unfortunately the sun these days is very strong. But when you use the LED projector in the room with almost completely dark then then picture quality is good. 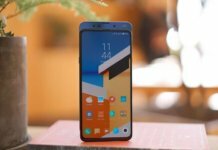 Talking about sound quality I’m also impressed because the sound is enough strong and crystal-clear with possibility to connect external speakers or headphones if you wish. 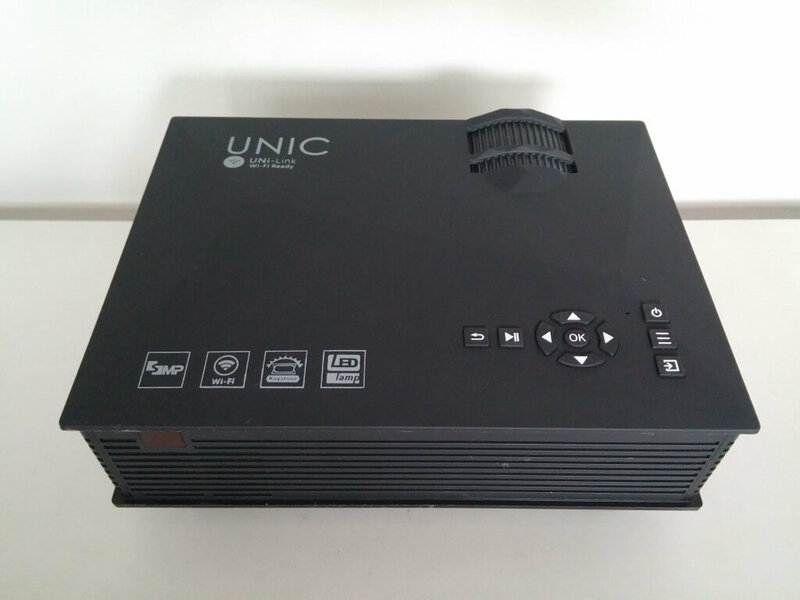 If you are looking for cheap or budget LED projector in our opinion you should definitely consider Unic UC46 because it offers very good build quality with many useful features like Wi-Fi, 2x USB ports, HDMI and huge support for movie standards like MKV video file. For more information and if you are will be interested to buy it you can do that at this Chinese shop. I want to see if it works subtitling, for films on sd card. I heard that it sees very little. Does anyone else encountered that MKV files does not have sound? 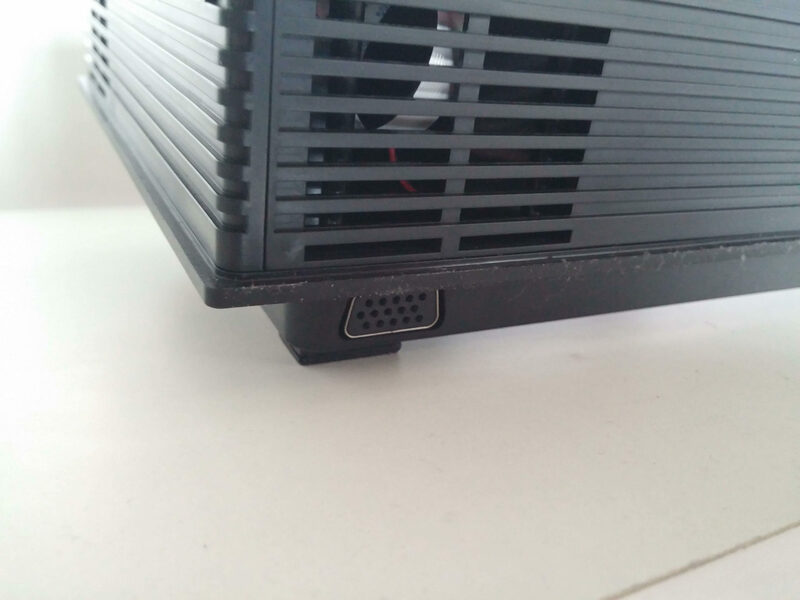 Is there any solution for that? Can’t connect my phone to miracast and any ideas how to connect it to network???? How many maxximum time on?